Just click here to go to my freebies page. You can instantly download all the stuffs there without having to sign up to an opt-in page. Why free? The obvious reasons ebook marketers give their wares for free are simply to promote their site, blog or product. Some of us maybe familiar with Ewan Chia’s affiliate clickbank ebook or may have known Jeff Hawkins on intelligence ebook. 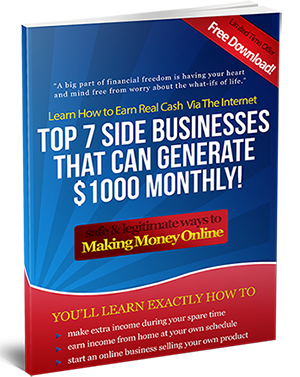 These are internet marketers who make money online by giving away free ebook reports. How do they do that? Simple. Within those free ebooks are embedded affiliate links to related products which maybe needed by the reader. When the reader buys through that link they earn commission from the sale. Plus they can also promote their own website, products, or anything that can make them cash in the future. One of the widespread giveaway practices is to bait people into their listbuilding campaigns. Money is in the list, they say. They make money from their massive list by offering their own or other marketer’s products. wow nice info … ill check now. addict’s last blog post..Making money with ReferralKings Team!